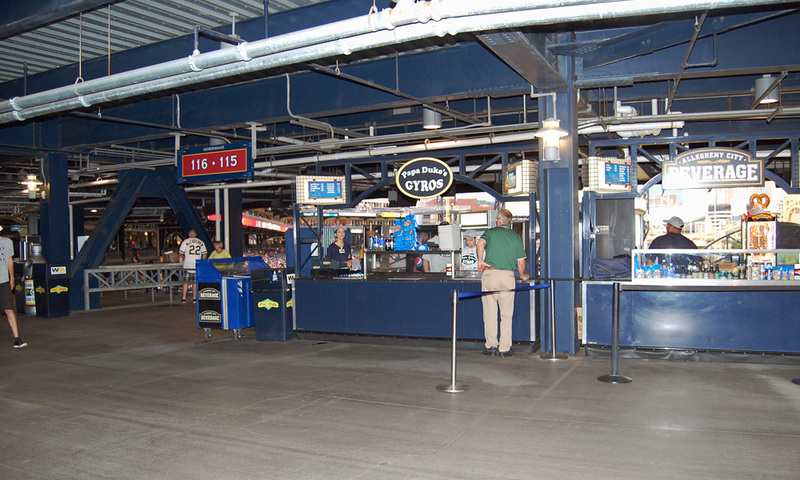 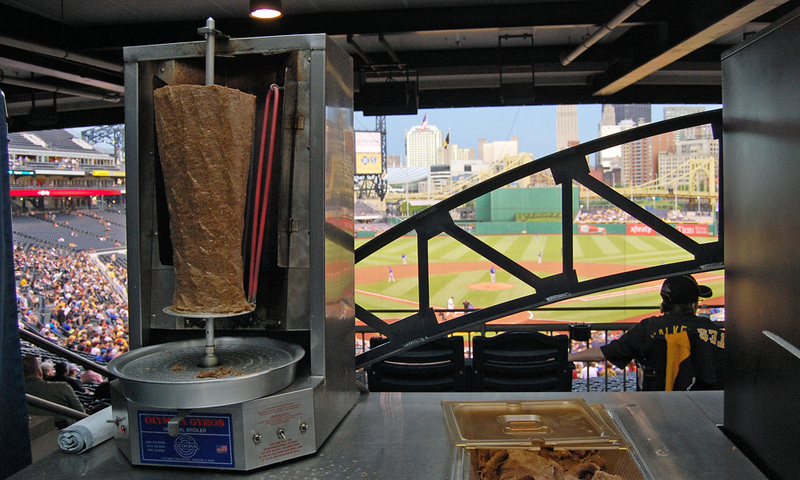 Located on the main level of Pittsburgh’s beautiful PNC Park directly behind home plate, Papa Duke’s Gyros is described by many as “one of the park’s best food values.” We take pride in serving delicious gyros and salads, cooked to perfection, and prepared with the freshest ingredients. 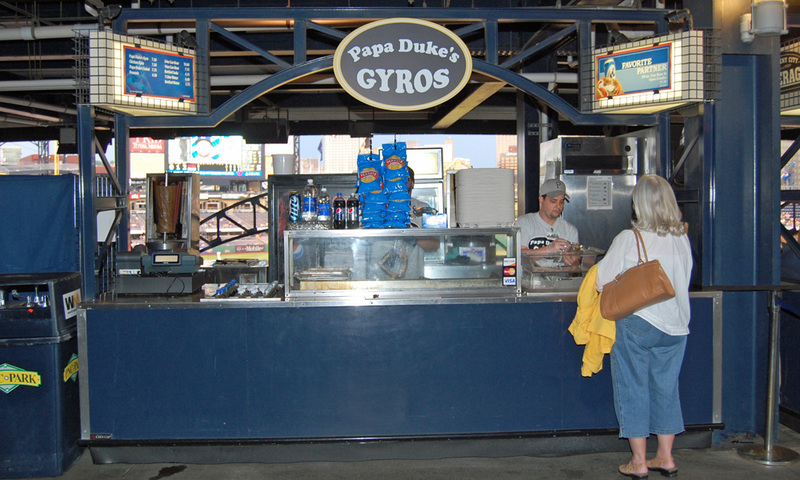 Next time you enjoy a Pirate’s game, be sure to visit Papa Duke’s Gyros! 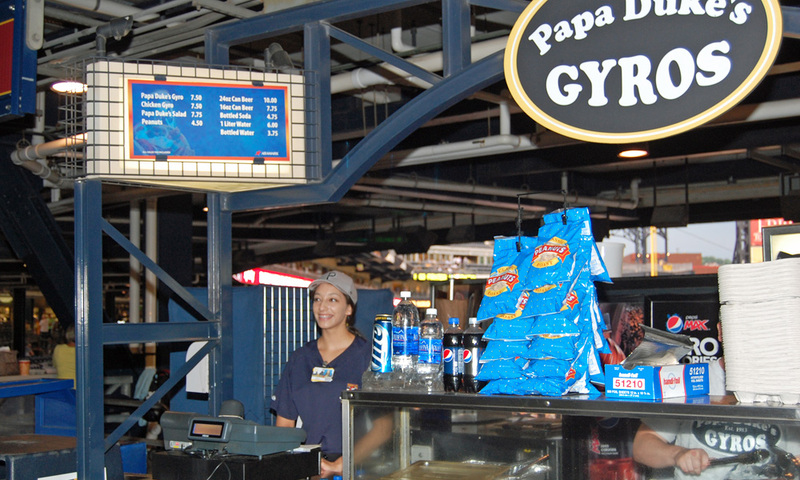 We are open only during PNC Park Pirate’s Baseball games and other stadium events.